CIA Director Mike Pompeo defended President Donald Trump's fitness for office amid scrutiny over the president's mental stability. Pompeo said Trump avidly consumes briefings from the intelligence community, but admitted to reformatting them into a more visual style. Trump has long defended his intelligence, and points to his massive well of personal successes as proof that he can be nothing less than very smart. CIA Director Michael Pompeo has offered some insight into Donald Trump's unique way of absorbing intelligence briefs after bombshell book "Fire and Fury" raised questions about the US president's intelligence and mental stability. Asked by Fox News' Chris Wallace on Sunday about reports that Trump will not even read one-page intelligence briefings, Pompeo pushed back. "This president reads material that we provide to him, he listens closely to his daily briefing," said Pompeo, who added that former President Barack Obama chose not to take a daily intelligence briefing. Pompeo has long said he speaks to Trump daily, specifically, about North Korea. In May, Pompeo himself said he had reworked intelligence briefings to include "killer graphics" as opposed to text and, on Sunday, stressed that despite the text-light approach, Trump absorbs the information. 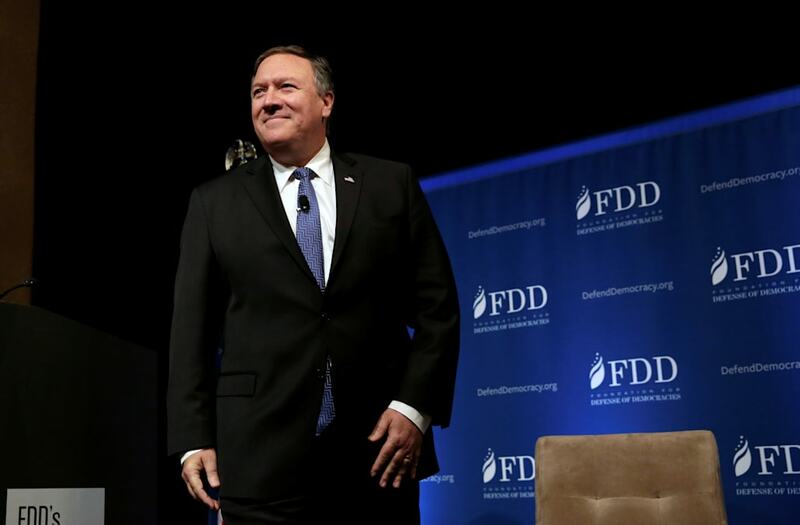 "This president is an avid consumer of the work product that our team at the CIA produces and we do our best to convey that to him nearly every day," said Pompeo. The defense of Trump's reading habits by Pompeo came on the same day Axios reported that the president, who has said he wakes up as early as 5 a.m., now starts his day at 11 a.m. after three hours of "executive time" used to watch TV and browse Twitter. Trump frequently tweets about the day's news stories, often before dawn. Though he claims not to watch CNN or other news networks he finds disagreeable, he always seems up to date on their coverage, and ready to dispute any reporting he disagrees with via a tweet. Additionally, observers of Trump's twitter have noticed a feedback loop, whereby the early morning "Fox and Friends" TV show often reports good news about the Trump administration, and Trump either retweets it or mentions them. But while Pompeo defended Trump's style of absorbing information, the president himself seems to have keyed in on the implication that reading is associated with intelligence, while TV is less so. On Saturday, Trump tweeted that two of his "greatest assets have been mental stability and being, like, really smart," and that his victory against Hillary Clinton in 2016 should qualify him as a "very stable genius." When Trump's intelligence has been questioned in the past, as it was after NBC reported that Secretary of State Rex Tillerson called him a "moron," Trump has always responded strongly and heavily denied a deficiency. "If he did that," Trump said of Tillerson's reported "moron" quip, "I guess we'll have to compare IQ tests, and I can tell you who is going to win." Another consistent theme in Trump's defense of his own mental fitness is brandishing his successes as a testament to his brilliance. Trump, is a multi-billionaire, has been a reality TV star for over a decade, and became president at the first time of trying.